Hi. Could someone please tell me what the termperature readings for St. Ives were on 6th January 2009 ? 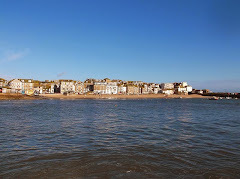 I have been looking everywhere but cannot find any data relating to St. Ives for that particulary day. Many thanks. You could try contacting St Ives Coastwatch. They run the weather station and may have records.